There are more practical sources of confusion as well. Although Friday's retail sales data was solid, the underlying tone of the data remains tepid at best. Nevertheless, it did come in stark contrast to recent dire warnings from retailers. Is Amazon really cleaning their clocks that badly? If so, might we expect the P/E to drop down to double digits any time soon? 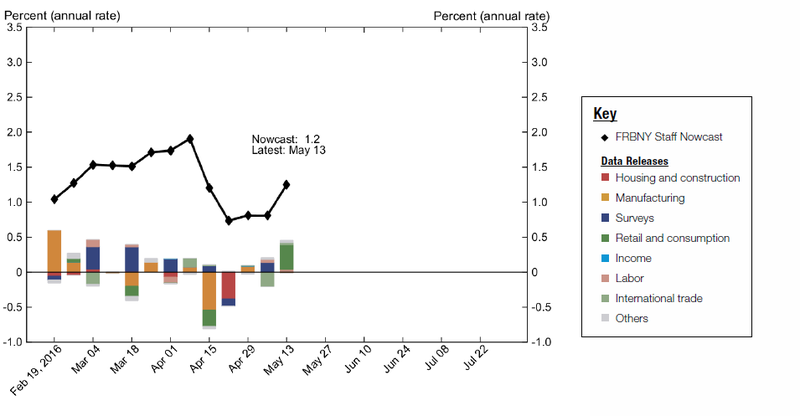 On the policymaker front, Fed staffers are now forecasting 2.8% growth for Q2, nicely above trend. 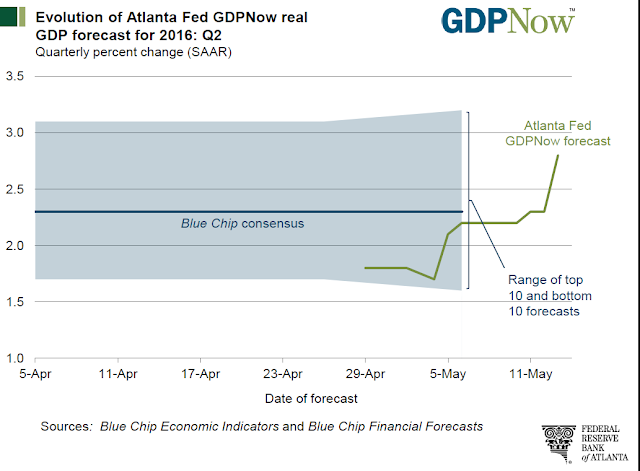 Except different Fed staffers are forecasting Q2 growth of just 1.2%, fairly disappointing and well below trend. 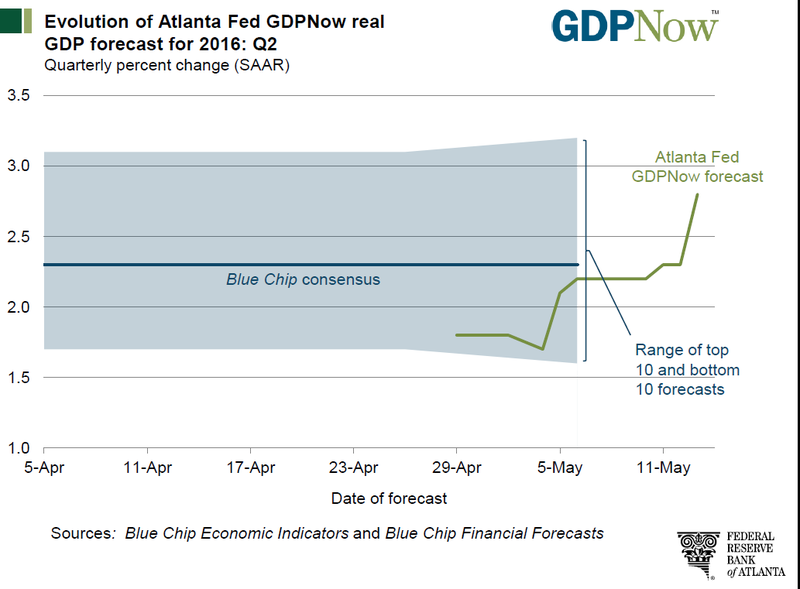 Is it any wonder FOMC members cannot come up with a coherent message of staffers' GDP forecasts (or at least tracking estimates) vary so widely? There's been little cause for confusion about recent Chinese data- despite hopes of a continued rebound, it's been poor. This weekend's retail sales figures, for example, were the lowest for a non new-year distorted month since the tail end of the SARS outbreak more than a dozen years ago. 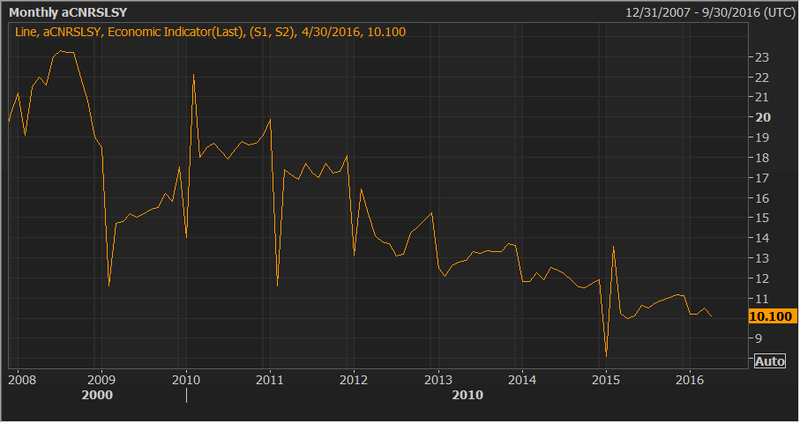 One does wonder, however, if we're about to see an end to the confusion over what China is doing with the exchange rate. Macro Man has written about this ad nauseum (probably literally, for some people), but it really is remarkable how few people have understood what China has done with its exchange rate. And to be fair to the Chinese, they've done a masterful job, engineering a positive correlation between USD/CNH and the CNY CFETS basket. 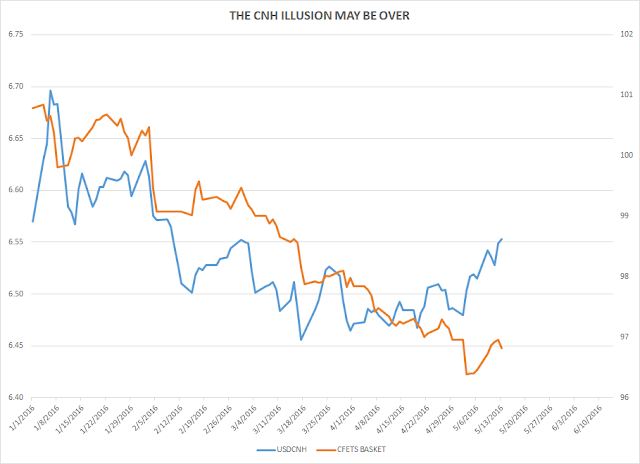 However, they may have reached the limit of how far they can push this relationship, and it's perhaps notable that over the last couple of weeks weakness in the basket has been met with strength, not weakness, in USD/CNH. With the dollar seemingly determined to strengthen again, the time may have come to dust off the "China worry" playbook yet again. Good to see you on board, Macro Man..
You know what happen over the weekend..first thing that happen when I walked into a nightclub I was asked. Nico, the Banks just don't understand. I'm out of all shares in that sector. No confidence left and just bad memories of everything connected to that market. Just let it go and do what it wants as the chairman of the bank done before..
Bruce in Tennessee, if the Fed warlords had ever taken up tai chi they would understand that the economy is really operated from the internals not the externals..and they do. Did that makes sense to you , because it wasn't suppose to. Yeah..you cannot bound the economic internals into what you want the economic externals to be. You have to let the economic internals flow and you miss the telling signs in the data releases and consumer sentiment survey's then I cannor help you anymore man, my internals indicator is not recognizable to you or just about anyone else. The economic surveys are telling you to let the market run. Hey, new here - great blog! Confusion is indeed the underlying theme in the markets at the moment and I expect it to continue throughout the summer as we have several potential macro problems that could shock the markets into sharp downward moves, but also the ever bountiful (though some hawkisness has crept into the ECB and BOJ recently) Central Banks around the world ready to save the day with more easing. In terms of the markets - suspect it will manifest in somewhat messy range trading as opposed to a distinct trend, which is difficult but does still offer some good opportunities both ways with a need for quick profit taking. Everyone running out of stocks.... ? "Bullish sentiment, expectations that stock prices will rise over the next six months, fell 1.9 percentage points to 20.4%. Optimism was last lower on February 11, 2016 (19.2%). This is the 27th consecutive week and the 60th out of the past 62 weeks that bullish sentiment has been below its historical average of 39.0%." ...Feb 11 being the day SPX bottomed of course. Should make for interesting action, in time, as a large number begin recognising - first slowly and then rapidly - that they're wrong. The Census Bureau releases a non-store retailer (including internet) series and it does indeed look very strong. 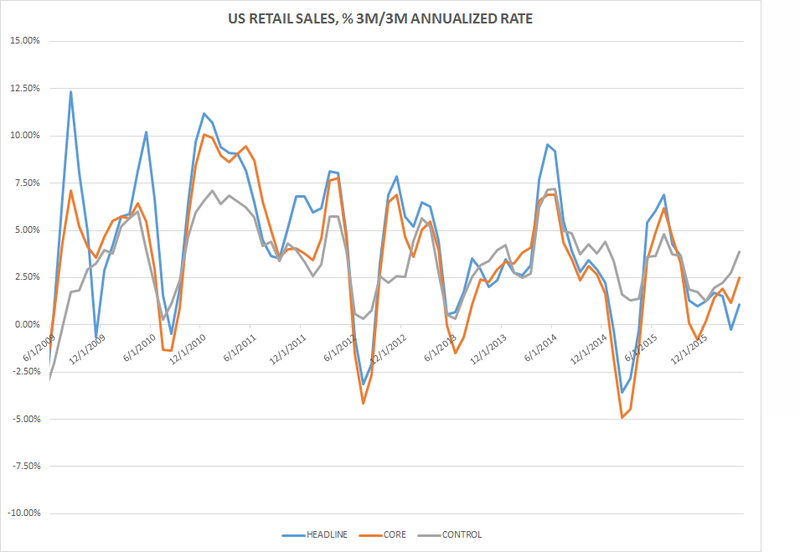 Looking at all other retailers, the numbers do look mediocre and arguably consistent with what bricks and mortar retailers are saying. 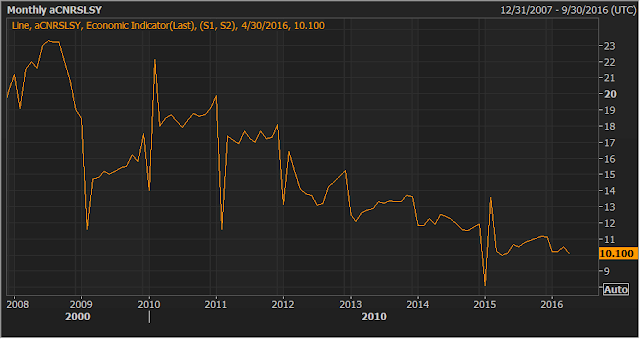 All to say that Friday's retail sales headline and core numbers don't look like a fluke, to me at least. 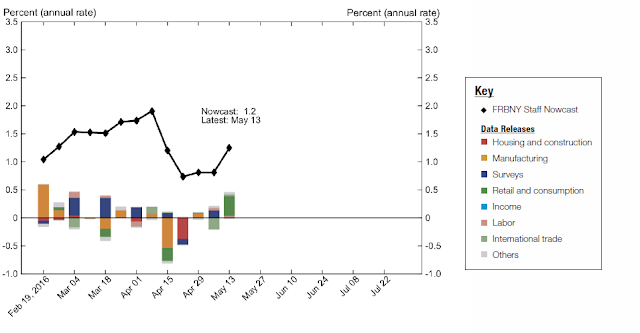 Preliminary May Michigan consumer confidence also surprised positively. Separately, I was skimming an oil piece this weekend and read, "Supply outages have the potential to bring forward the point of market rebalancing to late in 2Q16." That's quite striking given that 2-3 months ago or so, people were talking about maybe H1 '17. I don't have a strong view on oil myself, though I'm short EURNOK .. small before the NB meeting last week and have added since. I doubt the NB will allow too much appreciation, but maybe good for a percent or two from here. johno, oil is interesting here. Dollar strong, lots of Asian EM's weak yet oil grinding higher. I'm paying attention. Lots of confusion here for sure, I agree. Especially on China commodity story (which oil is less a part of). Steel rebar back down big not that it really matters. Tier 1 property prices matter a lot more. Skr - I am wary of posting anything here again as the last time i did MM Insinuated I was either a moron or couldn't tell noise from signal, but having picked up a 2% move in US equities from the moment I suggested a fall coming, I am brave enough to venture out again and say that the jBTFD vs H/S debate is not over. And won't be whilst we are in the 2034/2084 SPX range. The momentum of the crap out has gone but the macro world that Nico G ascribes to has not. The blogosphere is generally bearish in stuff because the blogosphere is bent towards spotting risk. I am hugely wary of downside, probably because having been a bull all year I naturally feel that it can't go on forever. I am bearish, but I am also aware that oil, thanks to GS tripping over their own hubris in oil forecasting, is possibly set for another stupid rally. I fully agree with MM that the world is confusing. It's confusing basically because nothing is happening to justify views. But the data is looking soft again. Trades? Well as trades are actually what we are measured on, rather than naval gazing as to neuron tweaks in the Fed Borg, let's try and lay down what we should be buying and selling. Long 1.4000 Cable puts for sept (Brexit tactic) If you want to get tricky stick a reverse k/o at 1.48 and buy 1.48 calls with 1.3800 RKOs to subsidise some of the high vol cost but leave direction for both ways. Long Caisse Regionale de Credit Agricole Mutuel Alpes - never underestimate boring cash earners in zones considered dead. Short DB stock long DB bonds -'Caisse de basket' but the Germans won't let it default. Of course none of the above is a recommendation nor advice - and for full disclosure, I have interests in all of that lot. And i don't give a monkey's as to the Fed's grandma's inside leg measurements as to a clue where spx will trade next year. merci pour votre soutien aux caisses régionales ! Well Niko, owning straddles I am exposed to delta. I am exposed to moves in underlying so it isn't delta neutral throughout the life of the structure. VIX, doesn't see a change in value with underlying other than changes in implied vol that occurs due to asymmetric responses (implied vol up on falls down on rallies) . I'd rather pay theta to receive delta exposure (or if you are a pro and delta hedger you pay theta to receive gamma). VIX has neither.